Maintaining ample quantities of drinking water of sufficient quality poses several problems in the marine environment. The most significant challenges are finding storage space for plastic bottled mineral water, not to mention risking the effects of stomach-churning impurities present in a fresh water tank. The Quatreau Smart™Tap solves both problems and delivers additional benefits. The compact drinks station dispenses chilled, sparkling, boiling and / or ambient water at the touch of a button, which means no trips to the supermarket for mineral water, no lost storage space on board for all those plastic bottles, and no kettle required on board for hot drinks. Recently featured in Boating Business*, innovator and company M.D. Roger Wiltshire advises that the Quatreau Smart™Tap is suitable for retrofit or new marine builds and is available in a range of finishes including brushed or polished solid 316 stainless steel, with left and right hand options. The recently refitted Mia Elise II*, a 197 ft custom motor yacht with impressive leisure and entertainment facilities currently available for charter, benefits from the Quatreau Smart™Tap. Accommodating 12 guests and 15 crew, the yacht’s water requirements are assured thanks to the high volumes delivered by our Quatreau Smart™Tap, with purity guaranteed by the addition of our RODI water purifier. The Quatreau Smart™Tap was also specified on performance cruiser Elfje. 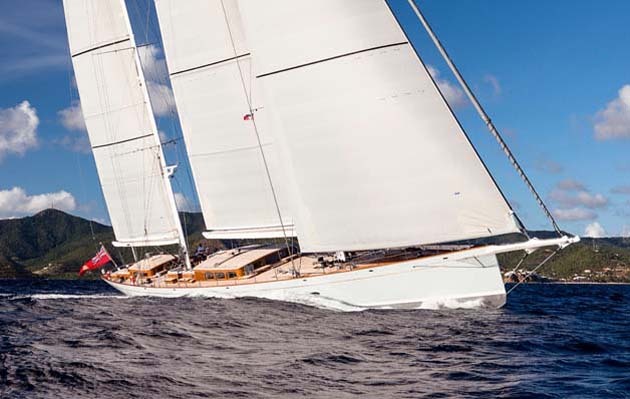 As Yachting World* reports, energy efficiency and sustainability were top of owner Wendy Schmidt’s priorities for her custom built 172ft ketch. Quatreau Smart™Tap ensures the lowest possible energy consumption and highest performing thermal insulation, its solid 316 stainless steel build ensuring strength and longevity with low environmental impact. The SmartTap’s standard in-line filtration removes impurities from any marine vessel’s water tank, but for extra peace of mind specifiers and vessel owners will undoubtedly opt for the optional under-counter water purifier. This delivers up to 99.99% pure water, guaranteed free from micro-organisms and every other health-compromising contaminant or impurity. This purifier is the only system on the market to carry EPA certification for the removal of micro-organisms, and the Quatreau Smart™Tap is the only one of its kind manufactured in the UK, which guarantees excellent build quality compared to imported systems.